Buy ANY Canndescent Product & Receive a Pre Roll for ONLY $1!!! 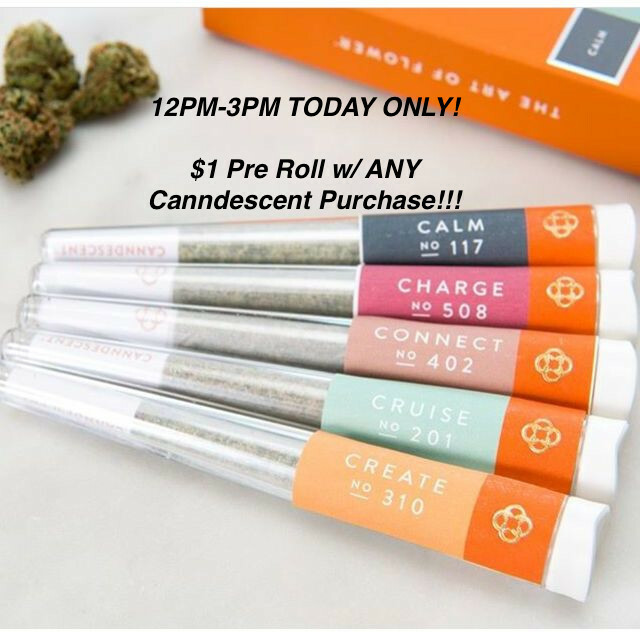 12PM-3PM ONLY: Buy ANY Canndescent Product & Receive one of their amazing Top Shelf Pre Rolls for ONLY $1!!! This purchase includes: Canndescent Pre Rolls, Grams, and 1/8ths. 5PM-8PM* Come Buy a CRU or HighGarden 1/8th or Disposable Vape & Get a Top Shelf CRU PreRoll for $0.01!! !